Invoke-Expression is a brilliant PowerShell cmdlet, which mimics us typing instructions into a ‘DOS box’. A typical scenario is where you are expert with cmd.exe, and now you want to execute the same commands, but using PowerShell. This is a job for the Invoke family of cmdlets, specifically Invoke-Expression. I have two ‘Vehicles’ for you to test Invoke-Expression, firstly, WOL Wake-on-Lan, and secondly Test-Connection. I have chosen Wake-on-Lan (WOL) as a vehicle to show how to combine PowerShell and cmd. Thanks to the use of variables, it is easy to modify the Invoke-Expression instructions to run your particular command-line program instead of wolcmd.exe. While PowerShell has aliases for dir (List-ChildItem) and cd (Set-Location), there is no direct equivalent for cmd.exe. However, the Invoke-Expression cmdlet allows you to launch an executable and crucially, append command-line instructions. The result is that Invoke-Expression executes the string as if you had typed it in the ‘DOS box’. Take the scenario where you want to mimic cmd.exe, see screenshot above, my idea is to execute Wake-On-Lan with a PowerShell script containing two variables. Firstly, control the path to the executable, secondly, append the command-line instructions that you want to pass to that program. Vital preliminary step: download wolcmd. I strongly recommend that you ‘play’ with wolcmd in the DOS box before you use it in a PowerShell script. In the script below I have added two variables because I wanted to be sure that we control the path to the executable, and also I wanted to direct you to making your own version of my example. $CLine = "00248C1F9023 192.168.1.66 255.255.255.0 7"
Note 2: Observe the double quotes surrounding both variables. "$ExePath $CLine"
Note 3: Experiment with and without | Out-Null. This command merely suppresses any output. If you are following my actual PowerShell Wake-on-Lan example, then download wolcmd here. If you have changed the values of $ExePath and $CLine, but your script still does not work try a manual walk-through in the cmd dos box. See if you can get ipconfig to work with the command-line switch /all. My idea in this PowerShell Invoke-Expression example is to store the string values in a text file, and then call that file and run those instructions. The scenario is that you wish to measure the server’s response time with PowerShell’s Test-Connection, this is the equivalent of ping in cmd.exe. Concept 2: These instructions are saved in a text file with a .ps1 file extension. 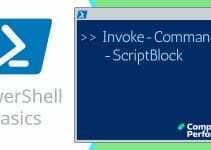 Concept 3: Invoke-Expression then ‘calls’ this text file with its PowerShell instructions. Now let us use Invoke-Expression to execute these instructions. 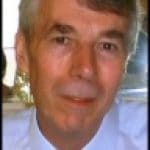 The two most promising cmdlets are Invoke-Command and Invoke-Item. Problem with Invoke-Expression -ComputerName …. -command "xyz"
Invoke-Expression -ComputerName localhost, BigServer -command "Get-process powershell*"
Invoke-Expression is a wonderful way of executing a string of DOS instructions, but in PowerShell. I chose Wake-on-lan (WOL) as a vehicle to give you a grounding in this cmdlet’s syntax. The ideas is that Invoke-Expression executes the string as if you typed it at the cmd.exe command-line. I hope that you will be able to modify my examples to suit your task.